Here is our Pimax 8K review after a year or so waiting we finally drive it and put it through its paces. However, there is a long road ahead for those diving in right now. So we determine whether it’s worth the investment right now looking at the pros and cons. Take a look at the video, or read the text. Today we’re taking a look the Pimax 8K VR headset which we kickstarter backed in late 2017. Without going into too many technical details (there are plenty of other reviews online for reference) we want to focus entirely on the user experience. To be clear, as of now the Pimax 8K isn’t a complete device and lacks integrated headphones, a solid head-strap, its own base-stations and motion controllers. So it’s very much an early access device until all components become part of a final package. Based on what is available today the Pimax 8K’s predominant unique selling point which sets it beyond its peers is the increased field of view and reduced screen door effect or SDE. Although the latter has a challenger in the Samsung Odyssey+ which performs better in the SDE removal department although loses overall clarity as a result. To begin, setting up the Pimax 8K is a simple process and generally works well. Plug in the Display Port cable to the GPU which in our case is an RTX 2080 Ti , a single USB 3.0 and power adapter – yes you will need another wall plug socket for this. Windows 10 recognizes the device immediately . Then install the Pimax Pitool software and firmware – although in our case the firmware was already up-to-date. Initially we didn’t use our single HTC Vive base station (purchased separately for around £100) and relied on the internal gyroscopes for 3dof movement. We also didn’t use any tracked controllers seeing as Pimax hasn’t released theirs yet – they are coming in Q3/Q4 in 2019. The Vive controllers work with the Pimax HMDs but prove to be costly when ordering from HTC. So we’re using an Xbox One gamepad (in a seated environment) which works with quite a number of games and VR experiences. As a result some limitation on the types of VR content presents itself. So bear that in mind. Interestingly, the integration with the Pitool software, Steam VR and Oculus Store is pretty good. We have all three installed and somehow, importing software into Pitools is easy and mostly works. Some settings such as Parallel Projection needs toggling on or off on a per game basis. An automatic option based on past settings would work well here but isn’t available right now. Launching games directly from Steam VR also works seamlessly. Playing games and apps works well ranging from colourful platforming in Lucky’s Tale to sims such as Elite Dangerous and Project CARS 2. VR adventures like The Solus Project, Alice VR, Transference, Skyrim VR, Alien Isolation. 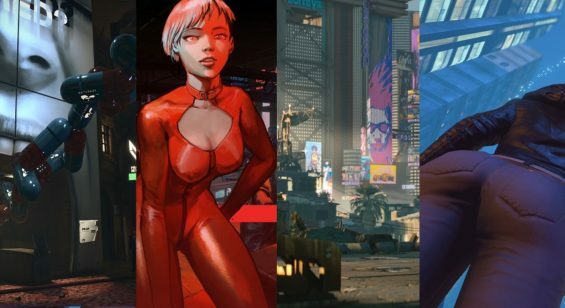 Action and adventure games such as Chronos, Landfall, and plenty more playable with a gamepad (a decent list here shows which VR games work with a gamepad). The games also sit alongside experiences such as Virtual Desktop, DeoPlayer for 2D/3D movie viewing and adult apps like VR Kanojo and SLR. All work as expected inside the Pimax 8K headset but a number of caveats reveal themselves. Initially using the default face foam meant our eyes were close to the lenses. Too close it seems. This presented some distracting edge distortion which other users mention quite extensively. Using a thicker face foam from VR Cover resolved this issue. Pimax plan to ship out a variety of face foams to combat this in the future but as of now using a third party option was the only choice. The same for the comfort of the head straps. Whilst not impossible to wear, it’s certainly not very comfortable for longer play sessions. Again, using a third party strap attachment from Studio-Form Creative VR helped quite a bit. However, placing a counter weight at the back of the strap helps relieve pressure off the cheek bones. Overall comfort is subjective so the user experience will vary depending on the head size and shape. For us, the modifications improved comfort quite a lot. The biggest issue with the Pimax headsets revolves around the IPD adjustment and focusing which initially caused eye strain and number of headaches. Due to the two angled 2160p displays and custom fresnel lenses means the manual IPD adjustment impacts the view considerably. We spent many days experimenting alongside adjusting the position of the Pimax 8K on our heads. Wearing it higher,slightly to one side, closer to a central position etc. with varied results. Our measured IPD of 64mm corresponding with the on-screen IPD tool didn’t feel comfortable at first, and then moving it lower across various incremental distances made some improvements depending on the content. After a lot of fiddling about and still to this day we haven’t accomplished the perfect setting. From our findings, a one setting suits all isn’t achievable. 2D content such as Virtual Desktop appears far more comfortable at around the lowest setting of 59.8mm whereas games closer to our 64mm offers improvement. It appears towards the centre of the display a slight out-of-focus area presents itself which most likely is a result of the binocular overlap. This is where one lens offers a sharp image and the other slightly blurry as the two views merge. Looking directly ahead with just one eye results in sharp focus and the other blurred when alternating the closed eye. With our 64 mm IPD this issue isn’t solvable by the end-user as far as we can tell. Again, the issues with the IPD and focus might not affect all users and is subjective. Some people might find it problematic with their vision and others not so much if at all. That said, you won’t know how this affects you until you spend some time with the headset. A quick 15 – 30 minute demo session might not manifest the problems either. Yesterday Pimax released an updated firmware and Pitools software which added extra software based IPD adjustment, brightness and contrast controls. The default view seems to fair better now without needing to change the manual IPD between text based apps and games. The centre focus issue appears less as well which is a definite positive. Using the sliders to change the brightness has a profound effect on a per game/app basis. In some cases bringing out the colours more, although also crushing blacks if too high a setting is employed. Pimax need to continually improve the software so this is one step in a longer journey, but at least a step forwards. Ultimately they need an automated process with less fiddling about by the end-user. Looking at the field of view and Pimax succeeded in increasing the perception of more screen real estate and ultimately better immersion. However, this comes at a cost and doesn’t always work. To put things into comparison, if you imagine VR headsets such as the Vive, Oculus Rift and WMR headsets such as the aforementioned Odyssey+ wearing these headsets provides a closed-in view. Akin to looking through binoculars. All of your peripheral vision is shrouded in darkness. There is a reason for this which we won’t go into specifics here but the result means the center of the display has a greater focus and attention. Any deviation from the center focus “sweet spot” requires head turning. Moving one’s head to view out of focus objects instead of using a more natural eye gaze, VR users learn to overcome pretty quickly. Head turning simply becomes a second nature VR action. The larger screen area of the Pimax 8K simply increases the amount of potential head turning as you take it all in. The Pimax 8K and its partner the 5K+ offer three field of view modes (for the sake of performance and edge distortion). Large offers the full width but is the most demanding on the PC powering it. Normal provides the middle ground comfort option. Small field of view offers a wider range than other VR headsets but remains quite narrow compared to the normal and large options. Using the large or our preference the normal FOV setting we weren’t blown away or had any wow factor at first. It appears as a subtle difference because it continues to highlight dark borders on the peripheral to the sides, top and bottom. The center area-of-focus is small resulting in more blurring outside of the centre making for an increase in required head movement. So increased field of view doesn’t automatically translate to using one’s eyes to gaze around the screen as you might expect. Where the increase in field of view starts to show its benefits is during direct comparisons with competing headsets. We found the Pimax 8K normal view to feel quite natural, like this is how VR is supposed to be hence our lack of initial excitement. It is only when immediately swapping back to an Oculus Rift, GO or Original Vive etc. you notice the massive difference between a seemingly unrestricted view or a totally blinkered experience. Much like normal vision when close to a display, you’re not seeing an entirely in focus image. Where the eyes look offers the most clarity and to the edges the focus dissipates. However, you remain aware of what is in your view and this effect adds to the immersion in VR. Seeing the broader view of the ship interior in Elite Dangerous aids the feeling of sitting inside the bridge. Noticing the warp in the side windows when looking directly ahead makes quite a big difference to how the warp is presented. It’s simply a greater, more involving view. The same in Project CARS 2 where sneaky opponents on the inside appear in the peripheral windows allowing you to make a snap decision to let them pass or block their progress. In games such as Skyrim VR the overall expansive view helps greatly in placing players into the game world, although in some instances the world scale appears off where the player’s hands especially look slightly too big. We became used to these issues and with some games it doesn’t manifest itself at all and in others a scaling solution in the options can remove this side effect. The large and normal field of view options grow on you over time, but also are dependent on the type of content viewed. 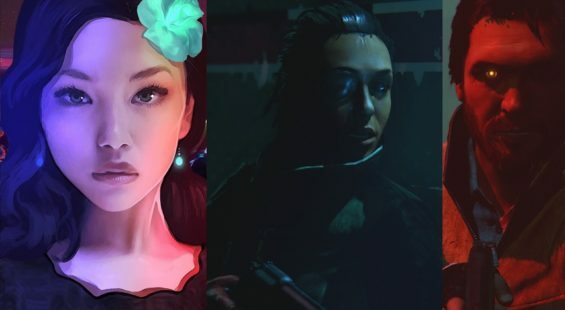 We found some games or apps showcase the extra periphery benefits far better than others. The main takeaway with the Pimax experience rests on when the Pimax 8K works, it’s pretty awesome and leaps and bounds over its peers despite the anomalies mentioned earlier and those we’re about to discuss. However, reaching the expected VR nirvana isn’t plain-sailing and requires some tinkering. Firstly, god-rays exist where glare occurs during dark scenes when bright objects appear such as text on black backgrounds. It’s not uniform though and sometimes appears worse than others oddly enough. The screen door effect remains an issue even if it’s “reduced”. It is there in abundance but presents a finer mesh compared with earlier VR headsets such as the Vive or Rift, It’s quite comparable to the Oculus GO in our experience. Whether SDE is bothersome is subjective, but any claims it’s gone entirely or it’s not noticeable are likely coming from exaggerated opinions, or those with poor eyesight. The Pimax 8K LCD panel black levels aren’t too much of a problem though despite a seemingly lighter hue compared to OLED displays. Somehow the brain interprets the very dark grey LCD colour level as pure black in contrast to the other colours. So it’s not really an issue when playing games or viewing movie content. That said, the colour spectrum doesn’t appear to be a problem either with pleasant vibrant visuals all-round as seen in games such as Lucky’s Tale. The overall brightness again feels normal but is slightly darker when compared to other displays such as the Oculus GO. A setting in Pitool allows for some minor adjustment but won’t push beyond a certain upper threshold . Setting super-sampling plays a massive role in how sharp the image looks and impacts the smoothness of motion. Obviously the higher super sampling rates push the GPU and anything less than a 1080 Ti might struggle if pushed too hard. The Pitool software boasts a number of smoothing tricks and even fixed foveted rendering for RTX cards which when working well increases the perceived performance. Striking the right balance between sharper visuals and smooth performance is a battle based on user preference. With our RTX 2080 Ti there is room for maneuver luckily, but lesser cards might need to dial things back. Sadly, there are still issues with distance clarity which due to the very nature of VR displays can appear blurry. Whilst offering some improvement overall it’s still not perfect no matter how heavy the super-sampling. Shimmering text or lines becomes an issue as well as minor chromatic aberration depending on the content viewed. Interestingly the normal field of view offers the best bang for your buck with less potential problems all-round. Some games won’t work at all though using the normal or large field of view option such as Batman Arkham VR, so at least a choice to lower it down to small exists for such occasions. The problem users have right now is the discovery process becomes a long-winded affair until a unified set of results is an option within the Pitool software itself. More-so if you’re not savvy with user recommendations on the official Pimax forums or Pimax Reddit sub. The Pimax 8K experience when it works looks and feels fantastic compared to current alternative VR displays. However, the overall enjoyment factor is held back by a not-so-great VR headset at this point in time. As you probably gather from this review it needs quite a bit of refinement out-of-the-box. The fact users most likely need to resort to third-party offerings such as improved head-straps, face-foam, base-stations, headphones and controllers is telling indeed. These extras add to the overall cost of entry which is another factor worth mentioning. At this juncture, users looking for the expansive field of view get their just desires but at a cost of fiddling around with hardware and software on a per game/app basis. Therefore, we can conclude that Pimax creates a wonderful look into the future of VR displays today. With improvement though or additions to their hardware and software could make the 8K a viable contender. As it stands though right now, this is very much an experimental early access device which we can only recommend to VR users who either already own a Vive and posses the required parts, or those who don’t mind forking out for the extras. Whilst some aspects of use are plug-and-play, a fair part of the user experience relies on settings and fine-tuning to get the best visuals and performance. If you’re happy with that process then the Pimax headsets might appeal. If not, then waiting for improvements/additions in 6 months to a year from now is a sensible option. However, playing the waiting game also allows competing headsets to enter the mix which might offer a better overall experience when all factors are considered. 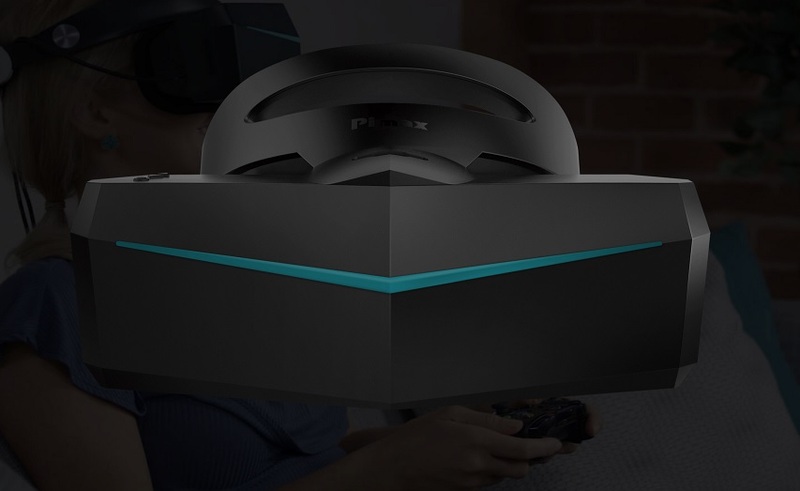 This is the gamble Pimax the company is making by taking its time with getting a feature/accessories complete unit out to retail. As with our title, we have a definite love/hate relationship with the Pimax 8K. If some issues resolve themselves further down the line or even if not, then to a degree the 8K firmly sits in our VR sessions. Movie viewing in both 2D or 3D looks good (prolonged usage comfort issues aside that is). Adult content works very well, gaming is mostly great with specific titles standing out such as Skyrim VR and Elite Dangerous. For us who don’t mind tinkering, then it has replaced our older headsets for most uses so take that as you will. It is very hard to return to a blinkered view once spoiled with the wider field of view option though. We are even typing this review in Virtual Desktop quite comfortably. Without the tracked controllers we are missing out on a large part of the VR appeal, so can’t comment on tracking or how the headset performs in room-scale scenarios. Save that for when we have the complete package towards the end of this year.